We opened the taproom for the first time on March 17th 2018. This weekend marks our first anniversary! The year went by extremely fast and the community support has been overwhelming and humbling. We Invite everyone who has followed our journey and those who have visited us to come by this weekend for a celebration! We will have brand new beers on tap as well as some cellar favorites from the previous year. A can and bottle release of new and previously released beers will be available on Saturday and Sunday. We will also have food specials, drink specials and live music every day! Oh….And its St. Patrick’s Day!!!! Thank you all for being apart of this. Without you this is nothing. Oliver Hazard Day - The first ever craft beer & Music festival! We are proud to co-host the first ever craft beer and music festival in Waterville Ohio on August 31st 7-11pm! follow this link to buy pre-sale tickets! 2018 Syndicate Membership Is Coming! With the addition of our new brewery and tap room being built in Grand Rapids Ohio, we have added some great new benefits to the Syndicate Membership for the upcoming year! 1) A tap room discount will be added to the membership benefits. Exact details for this are still being worked out with the tap room POS system. It will likely be a discount on every drink purchased and/or a club card that gives you discounts or free merchandise after collecting purchase points. This membership card will also keep track of your membership bottles and extras so that when you come in to collect, it will show what you are owed. This will help streamline the pickup process and give set times and days for our members to come and collect. 2) The price of the membership will remain at 150$ for new members! First time syndicate members will receive 8 exclusive bottles throughout the year. ALL ORIGINAL MEMBERS WHO SIGN UP FOR 2018 WILL STILL RECEIVE 10 BOTTLES. These two extra "secret" bottles will only ever be made available for our original syndicate members as an on going thank you for being the first to join with us. 3) Tap room events! I plan on having at least one members only tap room event a month. The tap room doors will be locked to the public. There will be special release beers held back to be released on these nights for you guys to try first. I hope to do some catering for these and also rare bottle shares. None of this will ever be advertised outside of the syndicate membership. All of these new benefits will be applied to our original syndicate members. All original members can renew at anytime when the 2018 membership opens, until June 1st, 2018. Your renewal fee is only 75$. Thanks for reading! If you are interested in joining the club please read the details here. If you a current member and have found this membership to be of value, please share the 2018 posts when you see them. i ask that you only share them with people you feel are knowledgeable and passionate craft beer enthusiast. All membership dues go right back into improving the brewery and making the best product possible and I hope to get our beers into the hands of the people who will appreciate them most. I traveled to Sandusky Ohio and picked up (90 pounds!) freshly picked hops from Ohio Hops LLC for our soon to be released Barrel Aged & Wet Hopped Farmhouse Ale!!! Our take on the historic harvest ale was brewed with Ohio malt and fermented with a blend of wild captured Ohio yeast cultures and aged in barrels we procured from OHIO wineries! 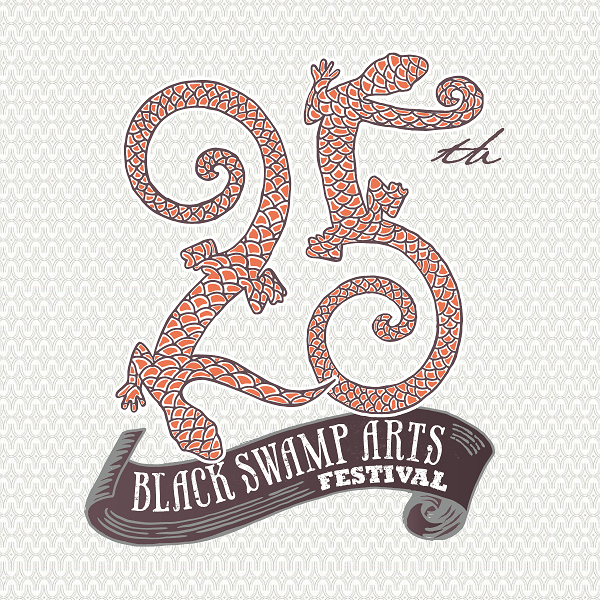 The first place you will be able to try our fresh hopped wild ale will be at the Black Swamp Arts Festival !!! This is their 25th year celebration and this festival is by far the best event of the year for art, music and food. You would be hard pressed to find another that rivals it in the entire country. We are very proud to be pouring our beer at the "Art of Beer" tasting on Saturday the 9th from 12-6. Come out and have a drink with us! Wild Side Brewing Company's first event in its home town will be at a favorite spot of mine. Reverends tap list has always been the best in town and I am proud to say that 4 Wild Side beers will be on the board! 1. (NEW RELEASE) Rum Barrel "Blood of Summer" ~ A golden wild ale fermented in rum barrels with the ever evolving house mixed culture. A varietal mix of raspberries were added to the barrel in copious amounts. 7.5% abv. 2. (NEW RELEASE) "All Around" ~ An American farmhouse ale aged in Ohio wine barrels and fermented with a blend of wild cultures. Mulberry, Montmorency cherry, blueberry and raspberry where blended in the barrel to give a rich and jam like quality to this wild ale. 7.5% abv. 3. "Native Star" ~ Blueberries on top of more blueberries, inside a Napa Valley wine barrel, with our house mixed culture blending together with a rich golden ale! This flag ship beer is always a crowd favorite and will be available in bottles soon! 7.5% abv. 4. "Left Hanging" ~ An American Farmhouse ale with pilsner and a touch of wheat malt, fermented in Ohio wine barrels with our house mixed culture. Finished off with a touch of lemon zest and Citra hops to bring out the essence and spirit of summer. During the Breweries first ever tap event at Barrs Public House, I had the opportunity to sit down with Victoria Dugger from the Sentinel Tribune. The event was a lot of fun and I was humbled by the amount of people who showed up to support the brewery.